Aktives Museum Aktives Museum - Expelled! Expelled! Berlin, 28 October 1938. The history of the "Polenaktion"
As part of the "Polenaktion", the National Socialists arrested approximately 17,000 Jews on 28 and 29 October 1938 and had them deported to neighboring Poland because they were Polish citizens. In Berlin, more than 1,500 Jewish residents were arrested in their flats or on the street and transported to the German-Polish border. Most of them were forced to march across the border to the town of Zbąszyń (Bentschen). Mote than 8,000 expelled Jews arrived in this town on 28 and 29 October. They lived in improvised emergency housing in Zbąszyń for up to ten months. Some where permitted to return to the Reich; others were able to immigrate to other countries or to travel to relatives living elsewhere in Poland. After the German invasion of Poland, however, they too fell into the clutches of the occupiers. Many were murdered in the ghettos and camps. 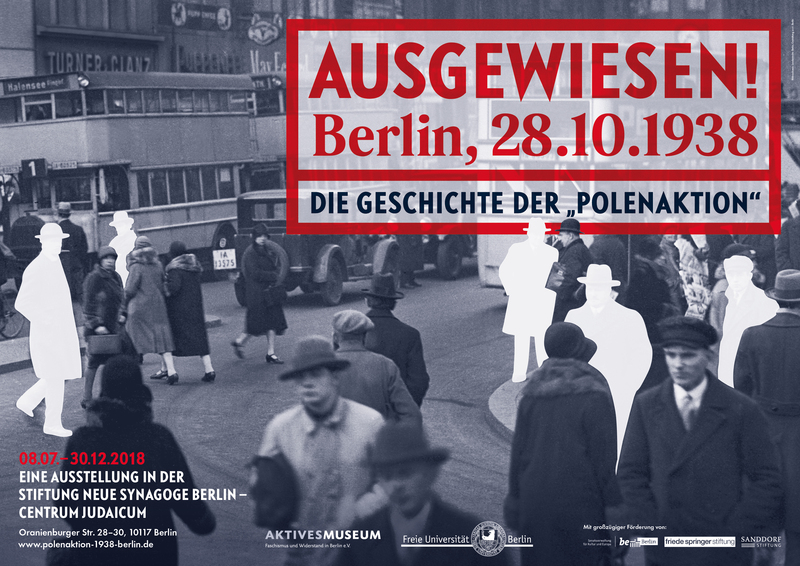 The exhibition tells the story of six Jewish Berln families before, during and after the 28th of October 1938, the day that most of these families were permanently torn apart. They had lived in Berlin for decades and some had even been born there. Berlin was their home. Traces of these families' existence are found througout the city. The history of the "Polenaktion" is thus also a part of Berlin's history. Many of the families affected by this history lived in the vicinity of today's Centrum Judaicum. The exhibition presents documents relating to persecution and murder as well as private familiy photographs that show life before the expulsion and after 1945. 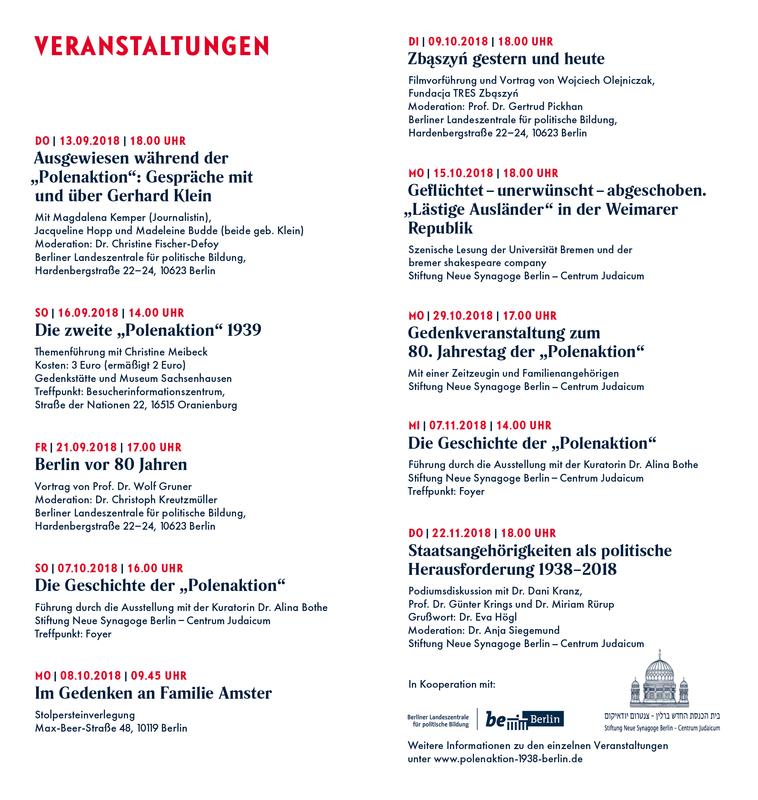 Berlin students assisted in the research of the family biographies presented here.